I'm Here. I'm Queer. What the Hell do I read? : Did you know that Emma González is the president of Parkland High School's GSA? Did you know that Emma González is the president of Parkland High School's GSA? 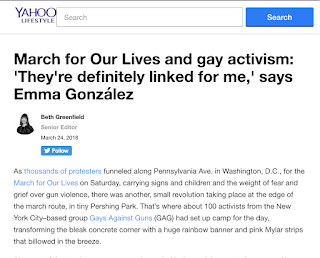 This article by Beth Greenfield at Yahoo Lifestyle, March for Our Lives and gay activism: 'They're definitely linked for me,' says Emma González, is well-worth reading. Emma is the teen whose "We call B.S." speech went viral right after the shooting at her high school killed 17 of her fellow students. 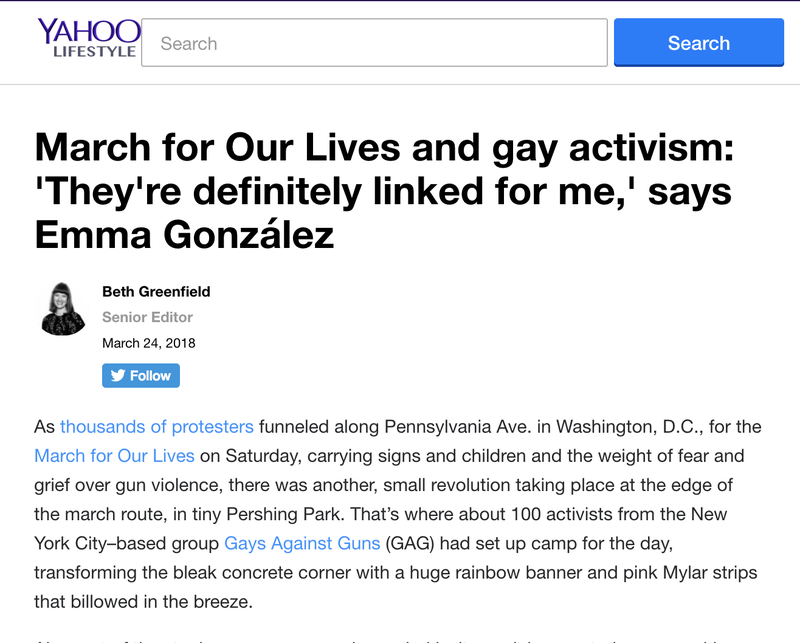 "She [Emma] then told the Washington Post that she identifies as bisexual, and suddenly her fierce badassery just made that much more sense for a whole lot of people, particularly fellow LGBTQ folks and queer activists for whom self-identity and a willingness to stand up for justice have long been inextricably linked." and Emma speaking about the inspiration of "transgender activist Sylvia Rivera, a veteran of the 1969 Stonewall uprising, widely known as the start of the gay-rights movement."